UPDATE, 11/27/13: The Tribunal has ruled that the wind farm can be built. It will be the first new wind farm constructed since Victoria adopted a 2km setback standard. The Tribunal considers that the issue of health and wellbeing raises two distinct questions. The first question is whether there is a causal link between sound pressure emissions from wind turbines and adverse health effects on nearby residents. The link may be physiological or psychological. However, given that the respondents expressly disavow that the impact is psychological and that the so-called “nocebo effect” lacks any empirical basis, the inquiry in this case must be as to whether there is a physiological cause. In this regard Mr Cooper hypothesised that wind turbines may emit a particular low frequency “signature” that gives rise to the problem. One difficulty facing the satisfactory resolution of this question is that there appears to be no overlap of expertise between the acousticians and the health experts. The acousticians can measure the noise but are unable to say what effect it has on human health. The health experts can identify the health issues but are unable to connect those issues with particular levels of noise or sound pressure. It is this that creates the need for interdisciplinary studies. If the first question produces an affirmative answer, the second and equally important question is what is the incidence of health problems amongst the nearby residential population, and how does that incidence vary or attenuate with distance from the wind turbines. Obviously the problem must be given greater weight by decision makers if 50 per cent of the population surrounding a wind farm is affected rather than 5 per cent. The full statement linked above (which also has a long section on noise annoyance and sound limits), and an excerpt containing the section on health and well-being, paint a pretty solid and concise picture of the Tribunal’s quandary. The South Australian EPA is conducting a study around the Waterloo wind farm in the next couple of months that may help answer at least some of the questions, and the Tribunal is eagerly awaiting these results. It has also invited both sides in the dispute to submit further information that contribute some of that interdisciplinary insight mentioned above. UPDATE, 10/23/13: The next round of evidence will be presented to the Tribunal, as requested, this week. A surge of widely-publicized papers purporting to show that those complaining about wind farm noise are being unduly influenced by expectations of harm, or have personalities that are easily upset, may be fostering distrust among residents of Ontario who are randomly selected to participate in an upcoming large-scale survey funded by the provincial government and an ongoing 5-year study by University of Waterloo researchers. This post, for example, notes that “mischaracterizations are coming out from all around,” and encourages residents to beware of any new surveys that appear to be asking questions about one’s overall quality of life or any annoyances other than wind farms. The concern seems to be that general quality of life or attitudinal/psychological questions can contribute to the sorts of extreme claims that have filled the press recently, suggesting that “nocebo” type effects are the primary cause of health symptoms and annoyance complaints. A detailed comment in the post includes a letter sent by one resident who returned a recent University of Waterloo survey without completing it, noting that “questions appear to be constructed in a manner that can be manipulated to achieve any desired result.” Here’s another site that similarly characterizes the UW survey as a political and wind industry sham. All of these surveys, in order to be representative, need to have responses from a representative sample of both people being bothered and those who are not bothered. Here, as in some previous research local efforts, distrust has grown to the point that those most affected may not participate. While for many of those being kept awake or otherwise affected by nearby turbines, the question at hand appears very simple—the turbines are the issue, and they affect me—a useful survey will need to do more than simply ask about turbine health effects. There are a lot of contributing factors, and it can be useful to consider many of them. While such surveys may be subject to misleading interpretations at times, the fact is that surveys and studies are always interpreted differently by those on opposite sides of the issue—where one side sees proof of their supposition, the other sees vague results, poorly designed data collection, or exaggerated significance. It’s clear that both the idea that turbine noise has nothing to do with the problems being reported, and the idea that turbine noise is inevitably harmful for those living nearby, are overstating what studies and surveys have found. Still, such disputed studies provide raw data that can help quantify the extent of issues and become valuable sources of clear information for those on both sides of the issue, and especially for local decision-makers. In particular, if those most affected decline to participate in the Ontario studies, these surveys will come to conclusions that far fewer people are bothered by noise than are, in fact, affected. This can’t be good for anyone. Rather than fear the possible misinterpretations, it would be better to help assure that these surveys obtain results that reflect the actual extent of the noise problem. 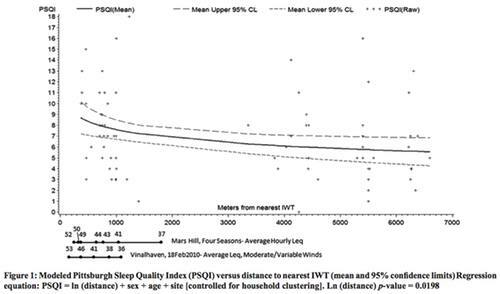 While what the locals are calling “the pre-stress level” is likely already be elevated, it would still seem likely that the study could identify any trends in sleep disruption and more widespread stress that may be caused by the noise of the turbines once they’re built (at least, if those affected choose to respond to surveys). The whole situation highlights the ambiguities that exist in trying to determine the cause of any health effects that do occur. In Australia, the debate about wind farm siting standards has ramped up beyond what we’ve seen in the US and Canada. Several states have adopted more precautionary setbacks (2km, with some options for closer siting), and this has spurred some pushback from wind energy advocates. Meanwhile, the Waubra Foundation has become a central repository for information on negative impacts, and has released a series of reports and statements highlighting health effects and home abandonments, while calling for an even more precautionary 10km setback standard. Recently, two reports were released in Australia that have garnered worldwide attention for their claim that health effects around wind farms are caused primarily by negative expectations promulgated via the web and local chapters of groups such as Waubra. One of these is a formal study published in the journal Health Psychology by a team from the University of Aukland, and the other is the latest (and most comprehensive) paper from Simon Chapman, a University of Sydney Professor of Public Health and outspoken skeptic about wind farm health claims. I’ve long been concerned that the adamantly contradictory statements of both wind advocates and concerned citizens groups are likely to be inadvertently contributing to anxiety and stress among wind farm neighbors, which could well be a major contributor to many of the most widespread health effects (especially headaches and sleep troubles). These new papers are investigating plausible psychological factors, and both studies add some useful new insights; however, similar to my assessment of a recent peer-reviewed article touted as proof of health effects, digging into these two papers reveals data that is far less clear-cut and absolute than the conclusions drawn by the researchers, and especially as reflected in the simplified popular press accounts of the studies. The Chapman paper gathers a wealth of information about complaint rates around all the wind farms in Australia, and taken at face value, makes an apparently convincing case for Chapman’s preferred hypothesis about the differences he finds: that the presence of local and national groups harping on possible health effects is the proximate cause of health complaints, and indeed, for the actual appearance of the symptoms themselves among wind farm neighbors. But Chapman’s insistence that the negative influence of “anti wind farm groups” can totally explain away all the noise problems is ludicrous. His paper frames all his data through this one lens, and makes no effort to consider other possible contributors to the differences he finds in complaint levels. At the same time, his inclusion of existing public health research on the nocebo effect and studies of psychologically-mediated responses to perceived environmental threats is a welcome addition to our consideration of wind farm noise issues; still, as I begin to dig into the actual academic studies that he cites, they seem to be at best suggestive of modest contributing factors, rather than offering data that’s strong enough to be posited as the sole or primary explanations for most noise complaints. For example, the Crichton paper finds that expectations of negative health effects can create a statistically significant increase in the number and severity of symptoms reported by study subjects exposed to infrasound (and to sham infrasound). However, the actual data shows only moderate changes in reported health responses, especially in symptom severity, rather than a dramatic difference between the subjects primed with negative expectations and those who were given reassuring information prior to exposure to the sounds. The average severity of symptoms, rated on a scale of 0-6, averaged 1.67 for the group primed to expect no health effects, and an only slightly higher 1.94-2.13 among those primed to expect negative impacts—a far cry from the intolerable responses being reported by some wind farm neighbors. Despite the fact that these papers don’t contain a “smoking gun” that explains away negative health effects, as wind advocates may be claiming, their findings can be seen as a likely part of the story. 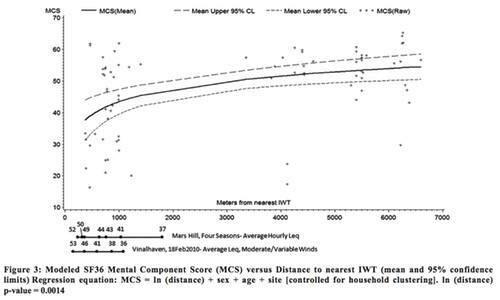 The small differences found in the Crichton study may be due to averaging over all participants; perhaps some individuals responded more dramatically than her data shows; a stronger effect on some individuals could be embedded in the similarly subtle yet statistically significant trends in the Nissenbaum study that found worse sleep and psychological health among those closer to wind farms. And the Chapman paper reminds us that those reporting health effects remain a small minority, even in areas with substantial community outcry. 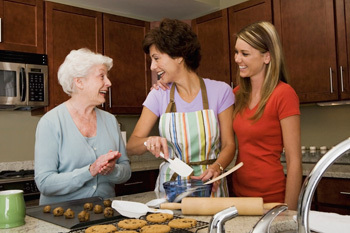 As AEI has often mentioned, even empathetic researchers tend to suggest that significant health effects occur in only 5-10% of the nearby population; as discussed below, a divide is emerging between those who feel that such small numbers reflect insignificant impacts, and those who feel that we can and should avoid or better minimize such effects by increasing setbacks. A local example of health effects: While statistical or laboratory studies can provide valuable insights, they can also distance us from the actual experiences under consideration. 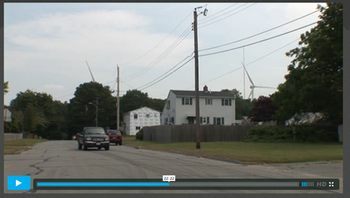 In Falmouth, MA, dozens of turbine neighbors have had enough sleep and health issues that the town is considering removing two turbines. A bit over 10% of those living within a half mile have filed formal complaints; in some directions, 25% or more have had problems. This recent article features quotes from a couple of these neighbors (including one, Neil Anderson, who is a longtime renewable energy supporter), and from state and local wind advocates. This winter, I had a couple pieces published by Renewable Energy World that I neglected to link to here. They’re both typical AEI looks at wind energy: seeking the sweet spot in which wind power generation can continue to become a bigger part of our energy mix, while avoiding negative impacts on nearby neighbors. The first was a piece highlighting the recently published history of wind power, written by Robert Righter, which I also covered in this earlier post. Righter, who wrote an earlier history of wind in the 90s, is a big booster of the industry, which makes his strong and repeated calls to avoid siting close to unwilling neighbors all the more striking, and powerful. He doesn’t come out with a setback distance he’d recommend, but at one point seems to suggest it would likely be in the range of a mile or more, at least in some situations. Read that piece on Renewable Energy World here. And, a couple weeks later, they ran a longer-than-usual piece on health effects being reported near wind farms. I’ll have a long post here in the next couple weeks that takes a close look at recent research in communities being especially affected by wind farms, most by clearly cautionary researchers. Perhaps surprisingly to some wind activists, even most of these highlight the stress-related symptoms being reported, with very little emphasis on direct exposure impacts; they also tend to estimate that health effects are likely to be occurring in a relatively small minority of folks within a mile or so (the estimates range from 5-20%), often a subset of the much larger proportion reporting significant annoyance. As always, these REW pieces generate a lot of engaged commenters; check out the comment streams for more from many perspectives. This link shows all the articles I’ve published on REW. Researchers from the University of Waterloo are planning to begin canvassing several Ontario counties this spring, marking the beginning of a multi-year effort to assess health-related changes in the vicinity of wind farms. The research program in Renewable Energy Technologies and Health will include a wide array of scientific, technological, and health-related topics surrounding wind, solar, hydro, and bio-energy. The health-related surveys will be overseen by epidemiologist Philip Bigelow, who has spearheaded similar projects assessing appropriate noise thresholds for other common community noise sources. The study will assess low frequency and audible noises as well as vibration; field measurements of turbine noise will take place, with an extensive GPS mapping component, as well. After an initial round of surveys, Phase Two of the research will involve bringing in a registered nurse and physician to head a field study. “They will actually go talk to residents and administer a symptom and physical impact checklist,” said Bigelow. “They will then do an assessment and collect some biological materials like saliva to look for biological stress,” including sleep studies that will measure both awakening and non-waking arousals. Phase Two will involve a smaller sampling of residents identified during the Phase One surveys. The eventual value of this study will depend on how successful researchers are at achieving a representative sample of local residents. This will require both researchers and citizens to come at it with as open a mind as possible. Bigelow’s introductory comments to local newspapers, as quoted above (see the two links in the first sentence for much more), indicate an good understanding of the situation, including the roles of annoyance, stress, and sleep disruption; one comment mentioned in passing needs clarification, though. The Owen Sun-Times noted that he said he wanted to find participants who don’t have an agenda; while I can understand this concern, due to the extreme polarization triggered by the issue across rural Ontario, I would hope and expect that the study would involve a truly random sample, and not exclude people who are upset because of symptoms that may have cropped up for them. Equally troubling, at least one other health survey in Ontario was met with widespread distrust among those with health concerns, leading some to urge residents to not participate. If either the researchers or anti-wind activists limit participation by the significant proportion of the population that has previously been engaged in this issue, the integrity of the survey’s results would likely be affected. The Oregon Health Authority has released a draft of its first “Strategic Health Impact Assessment on Wind Energy Development in Oregon.” The approach taken by Oregon health officials marks a subtle but significant departure from previous government reports on the topic. Most fundamentally, rather than being simply a literature review of past studies, this paper is a first attempt to sketch out the parameters by which health impacts of specific projects might later be assessed. The hope is that a final HIA would provide a basic understanding and framework that could allow future specific developments to look at local details, rather than repeating this big-picture overview. While it’s not all that clear how this framework for understanding the possible direct and indirect health effects will be used to actually assess on-the-ground responses in communities, the paper is notable for inclusion of several indirect pathways by which annoyance and sleep disruption can lead to physiological impacts, and also for its consideration of the impact of community discord on stress and well-being. To begin with, the authors emphasize that “HIAs are guided by the World Health Organization’s definition of health as ‘a state of complete physical, mental and social well-being and not merely the absence of disease or infirmity. '” At the same time, the report makes clear that completely avoiding all health effects is not necessarily the goal, recognizing that economic development and public health are not in opposition to each other, but mutually inter-related, so that “the long-term public interest is best served when the interdependence of these goals is recognized and balanced through a process that empowers people to shape their lives and communities.” This investigation has particular timeliness in many Oregon communities, given that Oregon’s current 2500MW of wind capacity will double when projects under construction or approved are completed, and would more than triple if those in the permitting process now are built out. Also strikingly, the report acknowledges that sound levels “at or near” regulatory limits can trigger these effects. Therefore, it recommends that “planners should evaluate and implement strategies to minimize sound generation from wind turbines when outdoor sound levels are at or near Oregon’s standard for wind turbine noise,” and suggest close consideration of site-specific factors that can affect sound propagation and perceived loudness, especially at night. The idea appears to be that this site-specific analysis can help to minimize the error factors in more generalized sound modeling (which can routinely lead to brief periods of sound well above that suggested by the models), thus reducing the likelihood of excess or “just at the limit” sound events. These and other considerations of subtle, indirect effects, as well as differences in noise sensitivity and responses to wind farms among both individuals and communities, make this report far more comprehensive than most that have come before. It does not, however, make a case that all these impacts or health effects are necessarily likely to occur at levels that would preclude wind development. I recommend you read it in full to get a better sense of the overall context within which these innovative perspectives are included. In particular, the report stresses that long-term average sound remains the best predictor of annoyance and thus possible health effects; it notes an EPA recommendation that if a sound source is new to an area, 5dB should be added to its sound output in assessing likely negative community responses, though again notes that problems are related to 5-10dBA increases in 24-hour sound averages caused by turbines, more so than short-term increases in sound. And, while noting that “a small number of epidemiological studies have linked wind turbine noise to increased annoyance, feelings of stress and irritation, sleep disturbance, and decreased quality of life,” with “annoyance from wind turbine noise…more likely when levels exceed 35-40dBA,” the report also stresses that except for some sleep disruption and reports of lower energy, people closer to turbines may report a lower sense of how healthy they perceive their environment to be, or lower satisfaction with living conditions, but that there is generally “no difference between the two groups for social, psychological, and general health-related quality of life.” Still the report acknowledges the role (and limitations) of case series reports, which are more often simply dismissed by other similar reports. Finally, the report stresses the contributing role played by general attitudes toward the wind energy development, and encourages an open process that provides opportunities for widespread public engagement and a clear process for reporting noise or health issues if they arise, as well as urging developers to outline and communicate proposed mitigation techniques that can be employed should problems arise. Oregon’s draft HIA can be downloaded here as a pdf; comments are being accepted through March 30 at this website. An Ontario Environmental Review Tribunal has ruled that the Kent Breeze Wind Farm can be built, denying an appeal by the a local resident and a community group that challenged the wind farm’s permits, largely on the basis of health effects that it may cause among nearby residents. Since Kent Breeze is the first wind farm to be approved under Ontario’s new green energy development rules, this was seen as a key to near-term wind development in the province. The Tribunal’s 223-page ruling provides a fascinating, in-depth look at the state of current wind farm science and policy; many pages are devoted to the testimony of each of the witnesses, which included well-known researchers with a wide range of viewpoints, including Rick James, Geoff Levanthall, Christopher Hanning, Robert Colby, and many others. I highly recommend that anyone interested in these issues download the full report and give it a look. Indeed, the Tribunal stressed in its ruling that “It is hoped that the legitimate debates surrounding the effects of turbines will spawn further independent research to the point that some of the challenges posed in this Hearing will be reduced over time.” Futher, “The Tribunal accepts that indirect (health) effects are a complex matter and that there is no reason to ignore serious effects that have a psychological component.” This is a stark contrast to the CanWEA/AWEA health effects study, which focused nearly solely on direct health impacts, dismissed indirect effects triggered by annoyance, stress, or sleep disruption as insignificant or subjective, and concluded that there was scant reason to look deeper at the issue. Click on through below the fold for AEI’s in-depth summation of the key points made in the full ruling. Researchers have determined that Americans between 25 and 64 years old hear better than their grandparents did at the same age. Comparing research done in 1959-1962 with similar studies in 1999-2004, it appears that upper-frequency hearing is notably better than it used to be; middle-frequency hearing is roughly the same. Researchers suspect that a combination of better treatment of childhood ear infections, fewer smokers and better health care in general, and a reduction in manufacturing jobs (as well as better hearing protection in today’s workplaces) have led to the improvement. The reduction in upper-frequency hearing loss is especially important in speech recognition. For more, see this NIDCD press release and this post on About.com that includes several related links. Alec Salt, a Washington University scientist who studies the inner ear, has discovered that outer ear cells may respond to very low frequency infrasound, well below the frequencies that are audible or otherwise consciously perceptible. Salt suggests that his discovery may help explain why some individuals seem to be more dramatically affected by low frequency wind turbine noise than would be expected. The study, funded by the National Institutes of Health’s National Institute on Deafness and other Communicative Disorders, is a literature survey that looks especially at the physiological responses of guinea pigs exposed to infrasound down to 5Hz. Humans can generally hear sounds as low as 20Hz; sounds below this frequency are called infrasound. Guinea pigs are often used in lab studies, since their hearing mechanisms are similar to those in humans; in fact, human ears are more sensitive to low frequencies than are guinea pigs. The crux of his findings center on the ways that hair-like cells in our ears, the Outer Hair Cells (OHCs) and Inner Hair Cells (IHCs), work together to translate sound pressure at various frequencies into the perception of sound in our brain. For audible frequencies, the OHCs amplify the vibrations they receive from sound waves, triggering hair-like structures on the IECs to ripple and bend; it is this movement of IHCs that create the electrical (neural) impulses that our brain perceives as sound. According to a news release, “Dr. Sivoththaman will bring focus to multi-disciplinary activities in renewable energy technologies and health, ensuring that health and safety are top priorities in the induction of new technologies. His research program will develop new technical approaches and will provide guidelines in setting standards to ensure health and safety in the manufacturing, use, and end-of-life phases of renewable energy technologies.” Sivoththaman’s research centres on silicon-based crystalline and thin-film photovoltaic devices, and he serves as director of the Centre for Photovoltaic Systems and Devices, which occupies much of the photovoltaic research building beside Matthews Hall. His interest extends to nanocrystalline semiconductors, and he was the first director of the University of Waterloo’s nanotechnology engineering program when it was launched in 2004. It is as yet unclear what the Chair’s timeline will be in addressing the dual (and quite distinct) topics he is charged with overseeing. Given the widespread concern about health effects, and the role this concern is playing in the wind development process in Ontario and elsewhere, we hope that the two topics will be pursued simultaneously. And indeed, as McMurtry suggests, it is clear that the Chair will need to bring in some experts in health and acoustics to effectively address the health aspects; in the spirit of collaboration and inclusiveness, we can also hope that his research/investigative team draws from qualified experts who have expressed concerns about wind noise, as well as those who have previously worked on reports that found few health effects. The Japanese Environment Ministry is gearing up for the April launch of a nationwide field survey around all 1500 wind turbines in operation in the country. Prompted by health complaints by some neighbors, the survey will the first such comprehensive study of the question; low frequency and audible noise will be recorded, to see whether there is any correlation between these sounds and the reported effects. According to the ministry plan, the survey will first ascertain whether there have been problems reported in the vicinity of wind turbines. If residents complain of health problems, their symptoms will be examined. Measuring equipment will be placed in their homes to find out the relationship between the turbines and health problems. 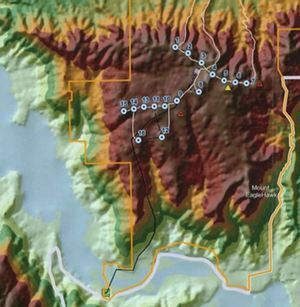 The distance between the turbines and homes as well as geographical features of the area will also be examined. About 30 of the nation’s 376 wind farms (1-20 turbines each) have prompted formal complaints to date. For more, see this Japanese news report.